Devils Tower is the most improbable rock formation rising dramatically 1,267 feet (386 m) above the surrounding terrain with summit 5,114 feet (1,559 m) above sea level. 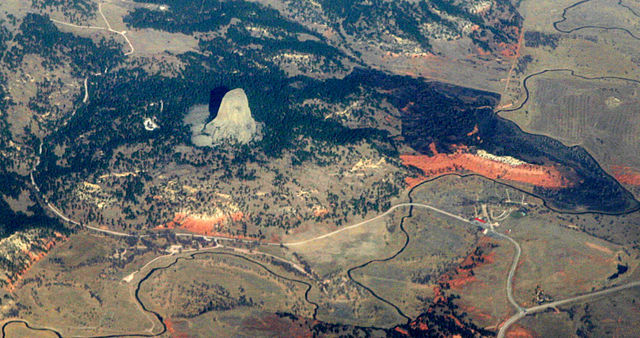 It was the first declared United States National Monument, established in 1906. For Native Americans it has been a sacred place from ancient times. It is not completely certain how the mountain has been formed. 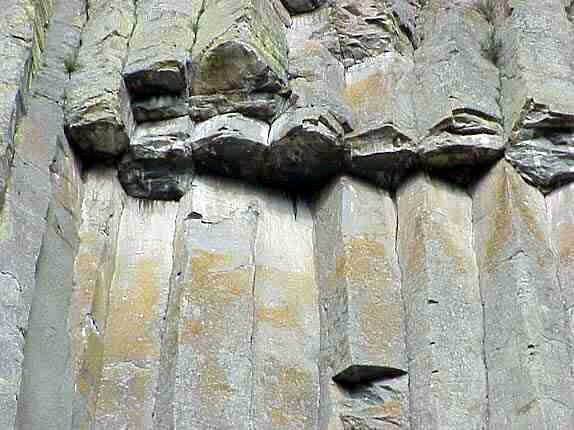 Most common theories say that it is either a laccolith or a volcanic plug. 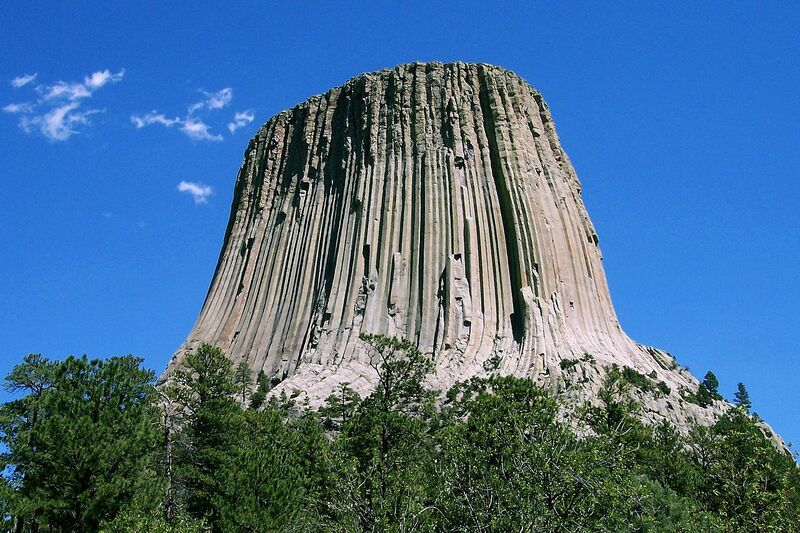 In either of the cases Devils Tower is formed of molten rock that has cooled and become solid igneous rock. It did not visibly protrude out of the landscape until the overlying sedimentary rocks eroded away. Today it is a popular tourist destination with 400,000 annual visitors. Not surprisingly, it is also very popular among rock climbers. The access by car is very easy. 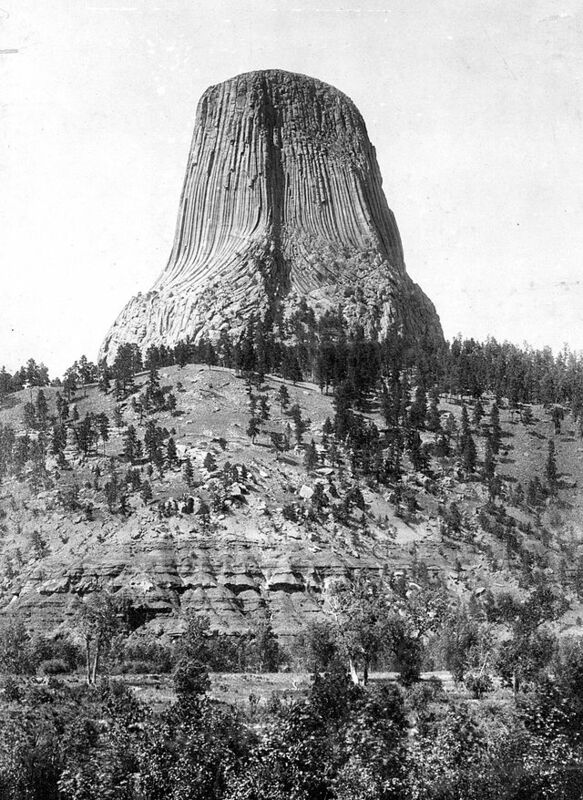 Devils Tower is located off Wyoming State Route 24, which is accessed via US Route 14. The US-14/WY-24 intersection is about 1 hour east of Gillette and 1 hour and 30 minutes west of Rapid City. Devils Tower National Monument is open 24 hours a day, 7 days a week except December 25 and January 1. April 5 - Nov. 26; Beginning May 27, daily 8 a.m. - 7 p.m.; Sept. 4 hours change to 9 a.m. - 5 p.m.
Wolf Mountain Resort, located in Eden, UT, are renowned for their well groomed slopes that are great for learning how to ski or snowboard. Wolf Mountain also has night skiing, and their entire mountain is lit up in the evening. Perfectly positioned next to the Continental Divide, Winter Park has the distinct advantage of being able to catch winter storms from nearly every direction. Western and southern storms get private://trappedprivate:// by the Divide. Vail offers virtually everything a die hard powder junkie could crave, from the Lionshead cruisers to the famous Back Bowls. Teton Pass Ski Resort offers affordable, family fun on the edge of Montana's magnificent Rocky Mountain Front, just east of the Bob Marshall Wilderness Area. Terry Peak is set on 450 acres of skiable terrain in the beautiful northern Black Hills of South Dakota. Its summit elevation is 7,050 feet and has a vertical drop of 1,100 feet, making it the biggest ski area in the heartland.